Sityodtong is well known for its world class Muay Thai training and MMA coach Kru Mark DellaGrotte. Since Ronda Rousey won over Dana White and the UFC, interest in Women’s MMA has rapidly grown. It’s been only a matter of time before the Sityodtong camp produced its own home grown female fighters to represent the legendary name. 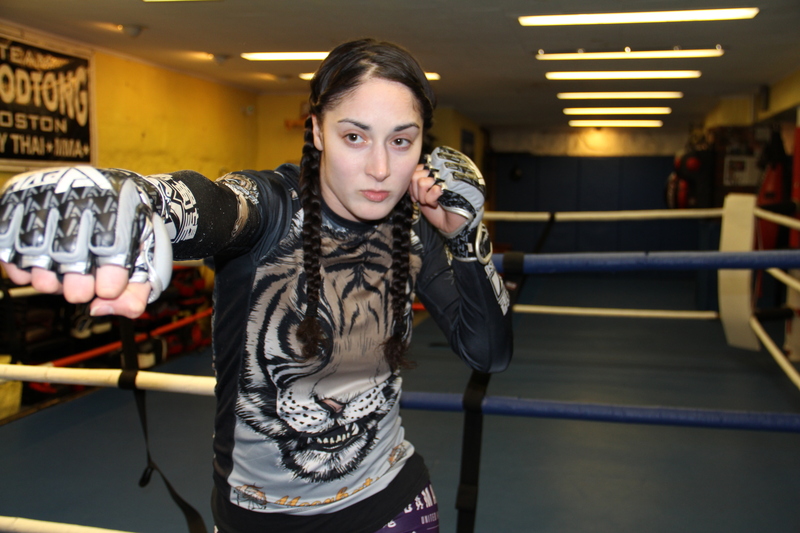 Jeannette “SweetNutz” Pomales may not be the first MMA fighter out of Sityodtong‘s Somerville camp but she IS the first home grown female fighter under Kru Mark DellaGrotte! 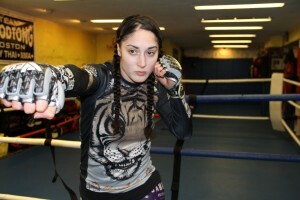 Jeannette will be making her MMA Debut this April 24th in New Hampshire at Rockingham Park. Her training for the past six years at Sityodtong has been tireless and hard earned. To prepare for her MMA debut Jeannette has competed in two NAGA Tournaments where she placed 3rd on her first tournament and 2nd on the other. She also earned first place at a Grapplers Quest Tournament and won a Muay Thai smoker last year by decision. Jeannette’s dream is to become a professional fighter to fight for Invicta or the UFC. She says for now she’s going where ever it takes her, “I’m just enjoying the moment and I thank God I’m in good health to be doing what I love”. Jeannette will be fighting against Kerri Kennison who will also be making her amateur MMA debut. The fights will appear at the Combat Zone , who over the years has been very supportive in showcasing multiple female fights on one card. And on April 24th they will feature three women’s bouts! April 24th at Rockingham Park in Salem, NH. Reach out to Jeannette on Facebook for tickets.